St. Faustina Kowalska is often called the Apostle of Mercy. The Lord Jesus chose Sr. Mary Faustina as the secretary of his mercy, so that she could tell the world about his great desire to pour his mercy upon the world. However, if you found yourself walking the streets of Krakow, Plock or Vilnius, Poland, where she lived and served as a sister and encountered her, you probably would have never guessed she had been given this great task by God. Sr. Faustina was born the third of ten children into a poor peasant family in Glogowiec, Poland. She received little education, only attending school for three years. By the age of 16 she had left home and was working as a housekeeper to help support herself and her family. From a young age, she had a desire to enter religious life, and at the age of 20 she was able to enter The Congregation of the Sisters of Our Lady of Mercy. She worked as a cook, gardener and porter, performing her tasks faithfully and was obedient to the rule of religious life. She seemed cheerful and full of kindness to those she worked with, but her life also seemed ordinary and insignificant. Hidden within herself was an extraordinary faith and union with God. In the 1930’s, she received a message from the Lord inviting her to become the apostle of Divine Mercy, a model of how to be merciful to others and an instrument for reemphasizing God’s plan of mercy for the world. She lived her whole life, in imitation of Christ, as a sacrifice for others, willingly offering her personal sufferings in union with Christ to atone for the sins of others and sought to bring joy and mercy to all she encountered. She continued to receive revelations and visions and many extraordinary gifts which she recorded in her diary, but remained hidden to all but her Spiritual Director. “These gifts are merely ornaments of the soul, but constitute neither its essence nor its perfection. My sanctity and perfection consist in the close union of my will with the will of God” (Diary 1107). Saint Faustina died on October 5, 1938, at the age of 33, consumed by tuberculosis. After her death, her closest associates were amazed as they began to discover what great sufferings and deep mystical experiences had been given to this simple, uneducated sister of theirs. Pope St. John Paul II beatified Sr. Faustina in 1993 and declared her a saint in the year 2000. Jesus’ great message of mercy is now being spread to the whole world through her diary and the image of Divine Mercy which she was given. Both her writings and the example of her life give us a blueprint for how we can fulfill Jesus’ invitation to “be merciful just as your Father is merciful” (Luke 6:36). O Jesus, You inspired Saint Faustina with profound veneration for your boundless Mercy, deign, if it be your holy will, to grant me, through her intercession, the grace for which I fervently pray … My sins render me unworthy of your Mercy, but be mindful of Saint Faustina’s spirit of sacrifice and self-denial, and reward her virtue by granting the petition, with childlike confidence, I present to you through her intercession. Videos of Masses from Holy Week at the Cathedral of Our Lady of Perpetual Help. Last month did you forget to go fishing? When you go to Mass on the weekend, make it your personal intention for that Mass to ask the Lord Jesus, through the power of the Holy Spirit, to place in your heart one person who you no longer see or rarely see at Mass. If the Holy Spirit places in your heart a name, I invite you to contact that person and reconnect with them. Simply tell them that their name came to your mind and heart and you want to reconnect with them. Then call me at 605-716-5214 x235 or email MMcCormick@diorc.org and let me know how it went. Making connections with one another is how we begin to build up a bridge of trust which opens the door for further conversations about things that truly matter — a personal relationship with Jesus Christ and his church. Sherry Weddell, in her book “Forming Intentional Disciples: the Path to Knowing and Following Jesus,” outlines five thresholds of conversion: initial trust, spiritual curiosity, spiritual openness, spiritual seeking and intentional discipleship. I remember several years back I was visiting with a young couple about the baptism of their son. They were seeking baptism for their son, but were not active in their Catholic faith, in particular the Sunday celebration of Eucharist. I rarely saw them at Mass. My initial conversation with this young couple did not go very well. As a matter of fact, they almost got up and walked out of the rectory. I was simply too hard on them, laying down the guidelines and obligations they have as parents in raising their child in the Catholic faith. I just kept hammering home to them their obligation to attend Sunday Mass and demanding some reassurance that their child would be raised in the Catholic faith. I began to share some stories of Father Dale and the three of us laughed together. I shared with them an experience I had right before he died of cancer. An amazing thing happened as we shared stories about Fr. Dale. They began to unpack their belongings and return to the couch and we finished discussing the baptism of their son. I learned a great deal in this encounter with this young family, discovering how important it was to first build a bridge of trust if my desire was to bring them closer to Christ and his church. Weddell indicates that non-practicing Catholics and former Catholics do not have a bridge of trust in place which would enable them to retrace their steps. She cautions us to avoid such things as defensiveness or coming across in a judgmental or critical way when visiting with people that seem to have a nominal practice of the Catholic faith. This was the trap that I fell into with this young couple. Because I came across as judgmental and harsh, instead of drawing them closer to Christ and his church, I started to drive them away at a time when they had made a step forward by seeking baptism for their son. I’m inspired by the words of Father. Cantalamessa, which are an echo of Jesus’ words to Peter and Andrew in Matthew 4:19 NAB: “Follow me, and I will make you fishers of men.” Being a person of great hope, I ask that you use that homework extension and seek out the 99, build a bridge of trust with them and lead them to a closer walk with Christ and his church. And if you are moved by the Spirit, please take a minute to report back to me. I would love to hear how your fishing went! 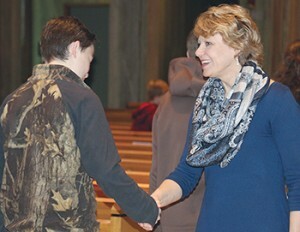 https://www.rapidcitydiocese.org/wp-content/uploads/2015/02/mccormick-top.jpg 270 720 Laurie Hallstrom https://www.rapidcitydiocese.org/wp-content/uploads/2016/07/FINALLogoDark.png Laurie Hallstrom2016-03-16 14:13:102016-06-30 15:57:02Last month did you forget to go fishing? Flowing from the mission of Jesus Christ himself, this Sacred Mission provides the framework for every ministry of the diocese moving forward into the future. This is applicable to diocesan ministries in the Chancery and to every parish and diocesan entity. Though each entity may have its own mission statement, all of our work should also flow from the mission as outlined in the diocesan mission statement. The Priority Plan clearly defines the focus of the diocese over the course of the next 3-5 years. Important values also come into play in determining how we interact, communicate and behave in carrying out this Sacred Mission and should be exemplified in every person, every family, every ministry and every organization across the diocese. The core values identified in the plan include: Prayer, Stewardship, Solidarity, Charity and Family. Please refer to the February issue of the West River Catholic for how these core values are defined (online at www.rapidcitydio cese.org/office-of-bishop/). Behaviors which exemplify these values will be shared at a later date when the whole Priority Plan is completed and communicated. The next step in the envisioning process was to create a vision statement that will focus our efforts over the next five years. Our vision is one which offers a message of hope and opportunity that draws the people of God to something greater than themselves and inspires them to action. The ideas and thoughts that were gathered from the listening sessions held throughout the diocese last summer were instrumental in creating the vision and priorities. In a practical way, how will this be lived out in the Diocese of Rapid City? This is where the Pastoral Priorities come into play. The three Pastoral Priorities and the goals for each of them will become our focus for ministry over the next 18-24 months, guiding our actions through the year 2018. These priorities will inform the focus, clarity and direction of our ministry in support of the mission of the diocese. The initiatives in these priorities are what have risen to the top of the agenda for the diocese through the envisioning process. In other words, they will become the focus of this diocese over the next two years and perhaps beyond. Included with each priority are goals which help us achieve in measurable ways a mutually shared vision for the diocese, thereby creating a healthy and vibrant church in western South Dakota. Reconciliation — As God has reconciled us through Jesus Christ, so we will promote forgiveness and healing within families; within and between communities; among racial groups; within the church. We will invite others to experience the good news of God’s love through an encounter with Jesus Christ. Forming Disciples — We are called to a deep union with Christ — a relationship of love. We will work together for formation in the human, spiritual, intellectual and pastoral areas. This formation will empower us to grow as faithful stewards of God’s gifts, living a Catholic way of life through hospitality, faith and discipleship. disciples of Jesus Christ accept their call to joyfully and generously share their gifts so that the Gospel can be proclaimed and lived in western South Dakota. The goals of each of these three Pastoral Priorities will be communicated in the April West River Catholic. The Priority Plan will also impact the foundational ministries of the diocese, those ministries which are part of the ongoing work of the local church. These foundational ministries include: Sacraments and Worship; Education and Formation; Governance and Finance; Social Services and Outreach; and Vocations and Evangelization. Specific goals have been created for each of these ministries as well and will be shared in the future. I am currently in the process of writing a pastoral letter which will clearly articulate the complete Diocesan Priority Plan. It is my hope that it will be completed by early summer. In the meantime, I invite each of you to become familiar with our vision statement and these priorities. Take time to pray with them, asking the Lord Jesus how he is calling you to live them in your personal lives, your families and your parish communities. Ask the Holy Spirit to prepare your hearts to live this inspiring vision and pray for the fruitfulness of this important mission. In this Year of Mercy, as we move from this grace-filled season of Lent to the season of Resurrected Life, may God pour out his love and mercy upon you, your family and the Diocese of Rapid City. Mary Helen Olsen, an eighth grade religion teacher, nominated both women for the award. 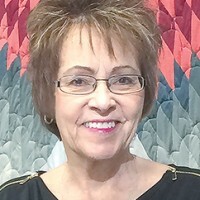 Olsen, who has worked for the school for 28 years, has seen the impact both women have had on the school and said that nominating the two was obvious. “It was very evident that Barb was worthy at all levels,” she said. “I have watched the school grow under her leadership. It’s not just the number of students, but her spiritual leadership and the way she draws the best out of her personnel. As part of the nomination process, Honeycutt and Shultz had to complete part of the application. According the Shultz, the questions for the principal’s award focused on the running a school. Shultz, who has been with the RCCSS for 22 years, said she was also asked about professional development and how she helps the teachers to be better at teaching and student development. “I talked about our advocacy program, which we are presenting at the conference, and our peer-to-peer mentorship program with the junior class,” she explained. “Receiving this individual award is a great way for us to tell about how wonderful our school system is,” agreed Keiz. They will be recognized, along with the 32 other “Lead. Learn. Proclaim.” award winners during the annual NCEA Convention and Expo at the end of March in San Diego, Calif. The NCEA is the largest private education association gathering in the country and features professional development sessions, liturgies, and an exhibition of educational products and services. The newest retired priest, in the Diocese of Rapid City, was truly “Called by Name” to be ordained. Father Edward “Ed” Vanorny was born May 6, 1945, near the close of World War II. One of nine children of Eugene and Berniece Vanorny, he grew up in Hand County and went to church at St. Liborius Church in Polo, where he attended his parish school. In 1960, “As a freshman, I suggested to my parents I should study to be a priest. My parents called the parish priest who happened to be an Oblate of Mary Immaculate and he got me lined up with his religious order to study at Our Lady of the Ozarks, Carthage, Mo.,” said Father Vanorny. He studied there for six years — completing high school, two years of college and one year in the novitiate. In 1966 he discerned this was not his vocation. “I decided a career in special education as a teacher was what I really wanted to do,” he said. He attended Northern State University, Aberdeen. He taught special education at the junior and senior high school levels from 1973 until 1979. “During my years at Northern I fell in love and we got married in 1970 at the Newman Center,” he said. With his former wife, Lynda James, he had two daughters, Debra and Holly. At that time, the Vanornys were teaching in Belcourt, N.D., on the Chippewa Turtle Mountain Reservation. They moved back to South Dakota in 1977 and divorced in 1979. “I had a desire to work with adults who have intellectual disabilities rather than children. I located an opening in the South Central Adjustment Training Center in Winner,” said Father Vanorny. The facility does both job and independent living trainings. The priest in Winner, at that time, was the late Father Joe Zeller. “I decided to go over to the Immaculate Conception Parish office and get registered and meet the priest if he was available. In our conversation he found out I was a guitar player. I had been playing guitar for Masses most of my years since college. I was big into the folk Masses and Father Zeller thought that was wonderful. He signed me up to lead the music at the next Saturday evening Mass. “After Mass I was putting my music away and down one of the side aisles came Randy Donovan. His family and my family had grown up together around Polo and Orient. He knew who I was, but I would not have recognized him. Randy said, ‘Ed, I want to do that.’ So, I taught him how to play guitar and for the next 13 years we were pretty prominent in the liturgy and music program at the church. He is still one of my best friends,” said Father Vanorny, who was also active in parish religious education and faith formation. Frequently people suggested he become a priest. In 1987, during Mass, parishioners across the diocese were asked to write down the name(s) of people in their midst who might have a calling to the priesthood, diaconate or religious life. Then-Bishop Charles Chaput and Father Kari, who was the vocations director at that time, invited people to Sturgis for an afternoon to listen to vocation talks for the “Called by Name” program. He was sent to Immaculate Heart of Mary Seminary, Winona, Minn., for two years to get his degree in philosophy. Next, he attended what is now called St. John XXIII National Seminary, Weston, Mass. “At my seminary in Massachusetts, the students did the music for the liturgies. My third year, there was nobody in the classes who played the keyboard or the organ. I was the primary musician for all of our Masses and I played guitar. The rector of the seminary at that time was a true Bostonian — very high church. He wrote a letter to all the bishops for the guys who were moving into their fourth year. Bishop Chaput shared the evaluation with me. The rector said, ‘We really appreciate Ed’s contribution to the music for our sacred liturgies, but we could have done without the country western cowboy flavor he brought to his music.’ It was really folk music. Bishop Chaput was called away to become Archbishop of Denver. Since the diocese was between bishops, Bishop Robert Carlson (then of Sioux Falls) ordained him a deacon in 1997 at Winner. Then-Archbishop Harry Flynn of St. Paul/Minneapolis, Minn., ordained him to the priesthood in 1998 at the Cathedral of Our Lady of Perpetual Help, Rapid City. While he was serving in Gregory County, in 2009, he had a brain aneurysm while at the Mitchell hospital for a routine health test. He was airlifted to Sioux Falls, then to Mayo Clinic in Rochester Minn. One of his daughters was able to get to Sioux Falls and she rode with him in the air ambulance to Mayo Clinic. “It was all rather miraculous, when I look back at it now,” he said. Among the chain of events, when they air lifted him up to Mayo Clinic, doctors knew there was no one open to work with him until the next day and they were not certain if they could keep him alive that long. Something was canceled and a surgeon sealed the aneurysm and stopped the leaking. From there his convalescence took several more weeks. A doctor recommended Father Vanorny live in Rapid City where he could be close to medical help. Then-Bishop Blase Cupich assigned him to the cathedral. After three years, he was told he completely recovered from the aneurysm. Today, even though he is retired, Bishop Robert Gruss has approved Father Vanorny’s request to continue to serve in hospital ministry. He coordinates the health care assignment with parish nurse, Judy Hasenohrl. He also celebrates Mass at assisted living centers and nursing homes, and visits the homebound. He continues to reside at the cathedral and celebrate Mass there and at St. Michael Church, Hermosa. “I have found the hospital chaplain ministry to be so fulfilling in ways that I can’t even put into words. I look forward to every day — being able to visit Catholic patients in the hospital — to minister to their needs as they are sick and dying and as they are moving into surgery. God’s put me in a good place, he really has, and I’m happy to be here,” he said. Patrick eventually made it back home, but had a vision which took him on a different path: “I saw a man coming, as it were from Ireland. His name was Victoricus, and he carried many letters, and he gave me one of them. I read the heading: ‘The Voice of the Irish.’ As I began the letter, I imagined in that moment that I heard the voice of those very people who were near the wood of Foclut, which is beside the western sea, and they cried out, as with one voice: ‘We appeal to you, holy servant boy, to come and walk among us.’” This prompted Patrick to study for the priesthood. He went to a monastery in France, where he remained for a few years and was ordained a priest and then, a bishop. The church sent him back to Ireland in the year 433 to proclaim the Gospel. In Ireland once again, Bishop Patrick met a druid king, Laeghaire, who tried to kill him, but God intervened, and Patrick was victorious. This victory resulted in Patrick’s being allowed to preach the Gospel among the people. Thousands were converted through Patrick’s preaching and miracles, churches were built, and Christianity began to spread. The Druids who served as prophets, philosophers, scientists, judges, and teachers, began to be threatened by this, realizing that their own religion was disappearing in favor of Christianity. They captured and imprisoned Patrick many times, but every time he was able to escape. 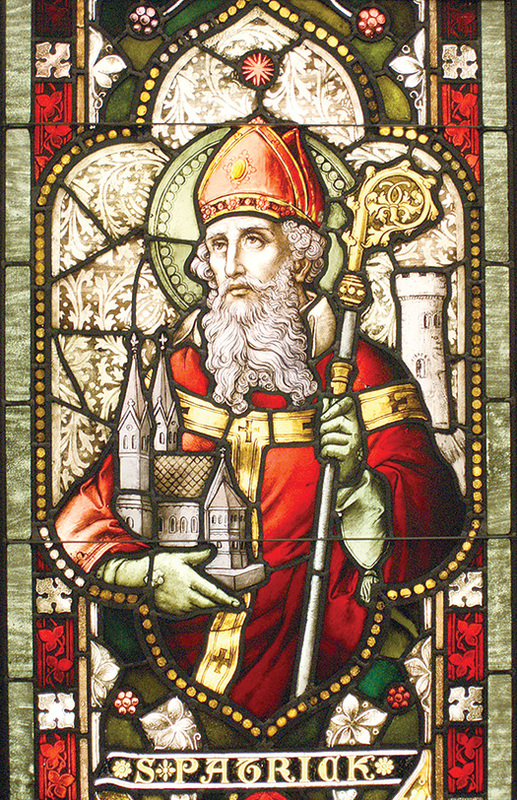 St. Patrick is credited with converting all of Ireland to Christianity. A humble man full of love for God and complete trust in him, Patrick revealed the tremendous mercy of God in returning to the land of his enslavement to bring the good news to those who continued to persecute him throughout the years. He died in Ireland in 461, having given his whole life to God and the people of Ireland. St. Patrick’s life is a model of mercy for us. At age 16, Patrick was captured and taken to Ireland as a slave. For six years he remained in captivity tending swine and cattle. He spent that time in prayer and fasting, and he suffered much, but he said of this time that his spirit became fervent, as he prayed through the night and often woke to prayer in cold, snow, and rain. Then, one night he heard a voice calling him to escape and return to his native land, Roman Britiain, so he ran away and found a ship departing the isle. At first, the captain refused him passage, but Patrick prayed to God, and the crew took him with them. After three days at sea, they reached land, but food was scare and the crew was hungry. They asked him to pray to his God for food. Patrick told them all to turn to God who would provide for them. That day, they came across a herd of swine and had food in abundance.